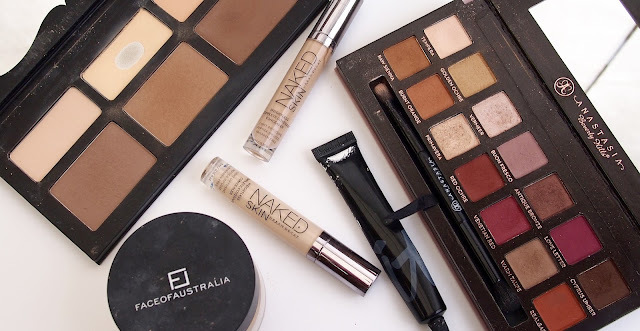 Beauty favourites used to be a regular thing on Born to Buy Blog. They were an opportunity for me to rave about my beauty loves and, truth be told, they were some of my favourite posts to write. The fact that I've been a bit slack on the blog this year is no secret to anyone so, as my first post back, I thought I'd share some of my current favourites with y'all. This time I have been strong and limited myself to talking about five products, purely because I'm sure that all the other loves will pop up in future posts over the next little while. Last year the IT Cosmetics Bye Bye Under Eye Anti Ageing Concealer was sent to me in Tan, a shade that was far too light, but the product was so intriguing that I ended up buying it for myself in a more appropriate shade, Medium, and I've loved it ever since. It's a thick concealer that I apply directly to the inner corners of my eye for an instant bright eyed look that lasts all day. I recommend this product to anyone, especially those who have particularly dark under eyes or inner corners. You can thank me later. Another complexion product that's blown me out of the water recently is Urban Decay's Naked Skin Weightless Complete Coverage Concealer. This concealer has been super hyped up in the beauty community lately and it did not let me down. The coverage of the concealer is amazing, the texture is beautiful and it lasts perfectly. What more could you ask for? My Kat Von D Shade & Light Contour Palette is super loved, as you can see from the photos. I bought it pretty much as soon as Sephora Au launched their online store and I've used it basically every single day since. The contour and bronzing shades are absolutely perfect and the yellow toned powder, Lyric, is perfect for setting the under eye area. I've hit major pan on Lyric but I'm holding out on repurchasing the whole palette 'cos rumour has it that she's releasing individual pan refills. I've had the Anastasia Beverly Hills Modern Renaissance Palette for a couple of months now and I honestly don't remember what life was like before I added it to my collection. The palette is the most perfect combination of natural and berry tones and the quality of the shadows is next level; even the brush that comes with the palette is amazing! I could rave about the palette all day but, instead I'd be happy to do a full review on it if you'd prefer. Until then, head over to my Instagram to see some of the looks I've been creating with it. 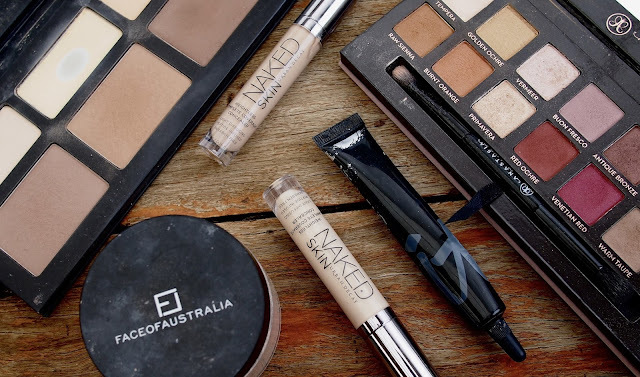 The last one is a bit dull, and maybe I'm getting to be a bit boring in my old age, but the Face of Australia Translucent Loose Powder has been the only powder I've been reaching for to set my make up lately! The finely milled powder gives a matte but not flat look to the skin, whilst setting my make up to ensure that it lasts through a full work day. I'm not a baker so I don't know how it goes when used that way but it's amazing as a traditional setting powder. 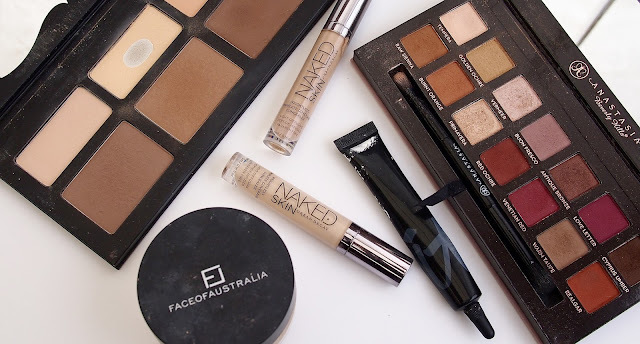 There we have it; five products that have been my go to make up routine essentials for the last few months. In addition to all being fantastic products, they're all cruelty which makes them double winners in my books.